Welcome to Computronix, Manufacturer and Supplier of Electronics Goods and Power Supply Equipment. The company was incepted in 1987 at Bengaluru. Our products are applicable in Software, Banking, Corporate and other sectors. Large production capacity, Ethical business practices and Utmost customer satisfaction make us the first choice of our clients. We offer a wide assortment of Power Supply Equipment, Uninterrupted Power Supply and Electric Inverters. 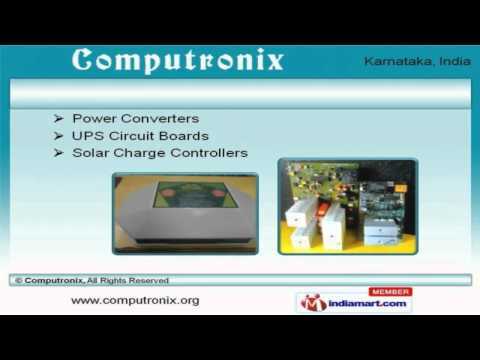 Our Power Converters and Solar Charge Controllers are superior in performance. We offer Solar Equipment and Servo Voltage Stabilizers that are acknowledged for their functionality. D C Power Supply and Voltage Converters offered by us are some of our best selling products. Along with that we offer Circuit Design and Development that are available at industry leading prices. We also provide High Frequency Inverters for Home that are extremely reliable.